Located directly on the bustling, Ben Yehuda Street, the 21st Floor Hotel offers first-rate self-catering accommodation with a variety of stylish and spacious luxury apartments suitable singles, couples and families. In addition to the standard room amenities, the 21st Floor offers a range of premium guest services, including a tour desk, grocery delivery, breakfast in your room, childcare, laundry, an onsite convenience store and much more. The 21st Floor’s location on Ben Yehuda could not be more central and convenient. 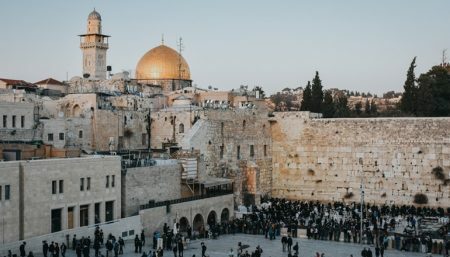 The shops, restaurants, bars and cafes of downtown Jerusalem, as well as several public transportation arteries are right outside your door, and the Old City and Mahane Yehuda only 10 minutes away by foot. Buy anything from AHAVA Dead Sea cosmetics at Jaffa Street and get a free bag as a gift, plus a tax refund! For more info dial 072-3944579 and present your promo code. This hotel is in the perfect location to visit the old city and also the Machane Yehuda Market. Everything is in walking distance. There are so many wonderful shops and restaurants on Ben Yehudah Street right outside the hotel. Also, it's an easy ride on the light rail to get to Yad Vashem, so there's no need to drive or pay for a taxi. The hotel will give you a voucher for breakfast at any of three local cafes. All are wonderful. Rimon Cafe has an amazing buffet breakfast on Friday mornings. The rooms are very large and very clean. We had a suite with an upstairs and downstairs, 2 bathrooms and a large kitchen. The huge windows offer a panoramic view of the city. The beds were very comfortable. The staff provided the excellent service. They were very knowledgeable and helpful. They even helped us with difficult arrangements for a concert we wanted to attend. We were so grateful that they were available to help us with this and all of our other questions. If you are arriving by car, pay close attention to the map they provide for where to park, as the streets can be confusing. Best to use Waze to guide you, and not Google Maps. We came to Jerusalem over Passover and the hotel was great for us in terms of location. The Machane Yehuda market is five minutes one way, and all the cafes of Ben Yehuda and Hillel Streets are on your doorstep the other way. Plus, the Jaffa Gate entrance to the old city is about 15 minutes walk down Jaffa Street. Eyal and the crew were very helpful and accommodating throughout our stay, and we would highly recommend it. We enjoyed our stay and found that the suites were nice, but need renovation. Our curtain was filthy and there were many cracks in the walls and water spots. The staff was for the most part helpful. Our suite had two floors, one for kitchen and living room and one for bedroom and bathroom. The stairs were bare wood and for semi elderly people, dangerous and slippery. One thing to keep in mind was to watch the prices listed. My son and his family booked a larger suite that had a downstairs bathroom and large dining table and paid $50 a day less than we did. I was told that the prices of suites could vary up to 3 times a day. We had extended our stay by one night and when We came home and saw the charge for the extra night we were appalled. The location of the hotel was excellent. On Ben Yahuda Street and within walking distance to the Old City. This would not be a good choice for people with mobility issues. Getting into the building requires walking up many steps or a steep hill. There is a escalator going up to the building, but not down and it was only working 2 days out of the 6 we were there.